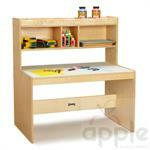 Jonti-Craft Dual Writing Desk, 9522JC, New! 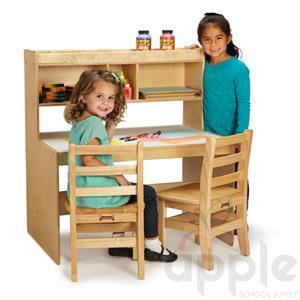 This dual writing desk empowers young learners to develop their writing skills. 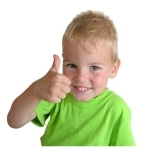 Perfect for practicing penmanship, journaling, drawing and more. 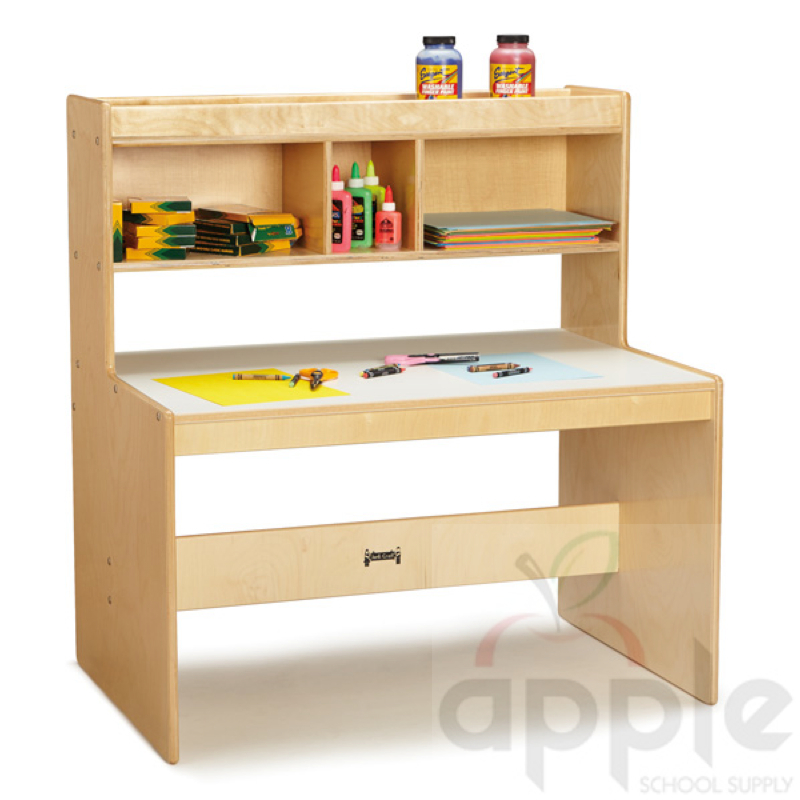 Fits two students with ample workspace as well as storage for supplies, including upper shelf with rail. Desktop height is 21” from the floor. 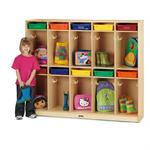 Dimensions: 38.5" High 36" Wide 24" Deep 57 lbs. 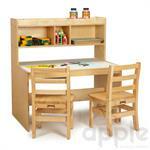 Jonti-Craft is the leading provider of Dual Writing Desk - 9522JC for the early learning market. From KYDZSafe edges to our KYDZTuff finish, and KYDZStrong Construction you'll find that all Jonti-Craft products are packed with features that make them safe, functional and affordable. 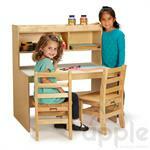 Every single corner and edge are rounded for safety. 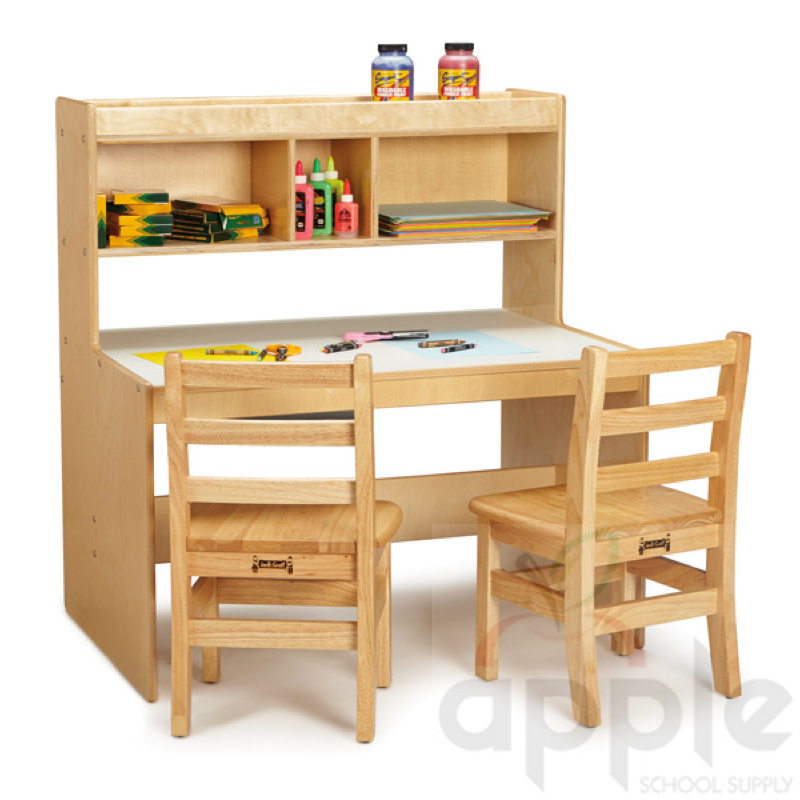 And, since they are the only early learning furniture manufacturer to use both birch and Rainbow Accents materials, your furniture options are endless. To top it off, Jonti-Craft products are built using the strongest construction techniques available to ensure that your furniture purchase will last a lifetime!